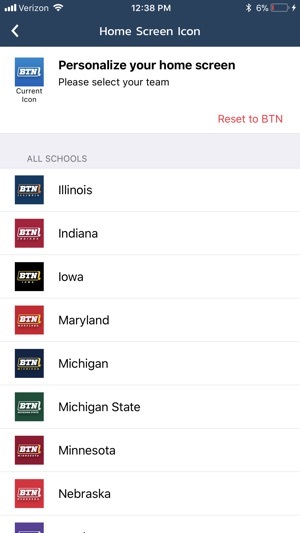 BTN2Go is the digital extension of the Big Ten Network, delivering live games and on-demand programming to Big Ten Network customers. 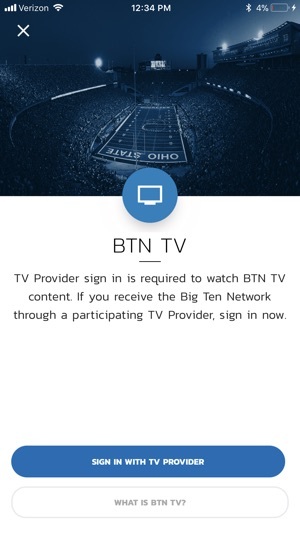 With BTN2Go, you can take the Big Ten Network with you, whenever you want and wherever you go. 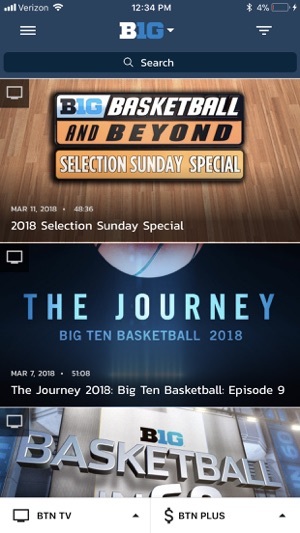 BTN2Go gives you access to watch live games and events, plus instant access to Big Ten Network original programming such as: The Journey, Big Ten Elite, Big Ten Icons, Big Ten Classic Games, and game highlights. 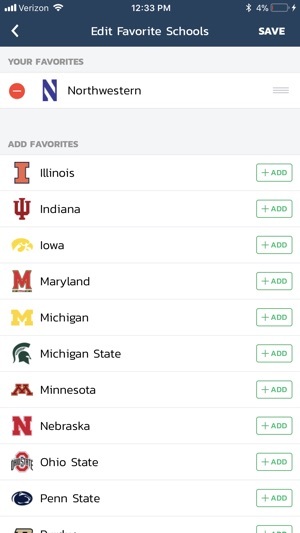 If you receive the Big Ten Network through a participating TV Provider, you will be able to access TELEVISED Big Ten Network programming at no additional cost on BTN2Go, including next day archives of televised events that air on Big Ten Conference television partners (ABC, ESPN, CBS). To access this content, choose your participating TV provider and sign-in with your TV provider credentials. Currently, all major TV providers offer BTN2Go to their subscribers. If your TV provider is not listed, please let them know you want BTN2Go. 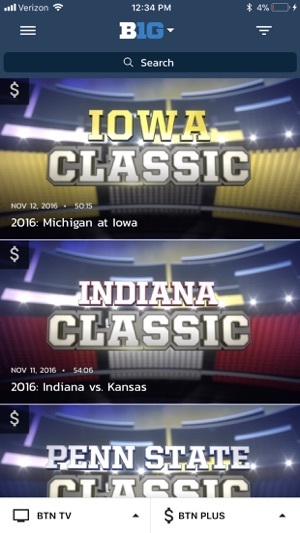 BTN2Go offers an additional 700+ NON-TELEVISED games and events available with the purchase of a BTN Plus Subscription. 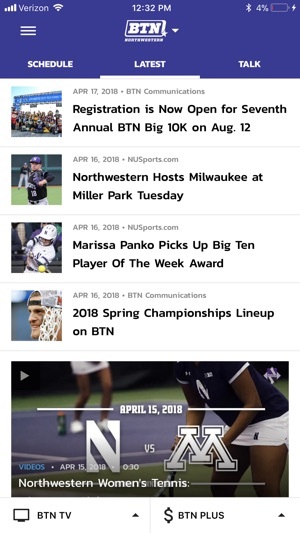 BTN Plus content features live games and events produced by students at Big Ten universities. 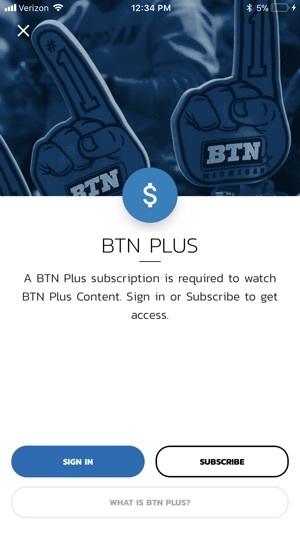 Please be aware that due to contractual limitations, BTN Plus subscriptions do NOT include the televised BTN programming you must access via TV Everywhere (see "Access BTN2Go with TV Everywhere" above). 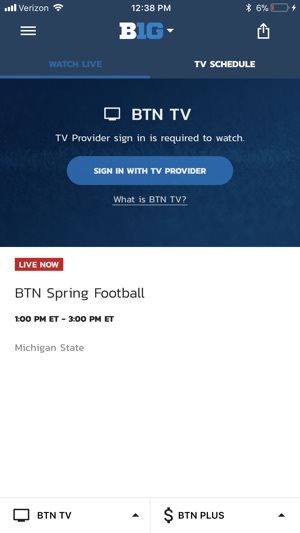 The good news is purchasing a subscription to BTN Plus programming on BTN2Go does not require a subscription with a TV provider. 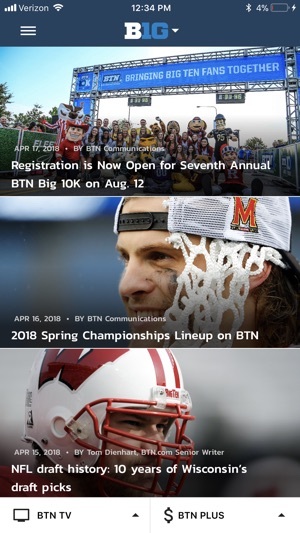 BTN Plus subscriptions are available in annual or monthly durations, and can be purchased for the entire B1G conference, or just your favorite school. I understand that students may be involved in BTN Plus productions and that there is a learning curve to this work. However, it is unconscionable to charge $15 a month to watch games where video and audio feeds are OFTEN not on when they should be and where graphics are not maintained in a timely manner. The last Gopher women’s basketball game (vs. Illinois) included a long lapse of audio and video in the fourth quarter, cutting off an essential part of the game. When the game came back on, the graphics weren’t being maintained, so the score and game clock were wrong. It basically ruined end of game coverage. WHICH WE PAY FOR. Also, I know it’s been mentioned, but it is past time for an AppleTV app. Make improvements or I won’t be subscribing again. Start with the good, I guess, the only feature that never fails: the 15 second preroll ad every time you have to restart a stream that’s crashed. Otherwise, this app is an utter train wreck. The most humorous bug comes when you are AirPlaying a stream and a Twitter account in the (completely unwanted) “game stream” posts a gif, which takes over the video. The only solution is to kill it, watch a preroll ad, and hope you didn’t miss any action. Why am I AirPlaying if it works so poorly? Because somehow they’ve made it to 2019 without figuring out what an AppleTV is. But in the end you’re here because you have to be: your team is in this conference for better or for worse, so I guess you will just deal with it. I only watched once and it was a Big10 women’s gymnastics meet last weekend. No graphic information about anything (scores, gymnast information, etc), cameras that turned off (blue screen) so the director had to switch to a farthest camera to keep the show running, commentators that do not understand the sports (a gymnast did a pike and the commentator said that was a beautiful layout), pixelates on iPhone app (did not pixelates on laptop). Overall an awful experience, especially when I am a Big10 fan and compare this broadcast with the other 3 gymnastics meets that I watched this season broadcasted by SEC+ and ACC Network.